Ride the ridges, valleys and meadows on a horse that's yours for the week. Riding program is our pride and joy and geared to all abilities. Fully supervised program for children and teens. Orvis endorsed fly fishing, outdoor heated pool and hot tub, exercise facility, full service spa, tennis, trap shooting and ropes course. 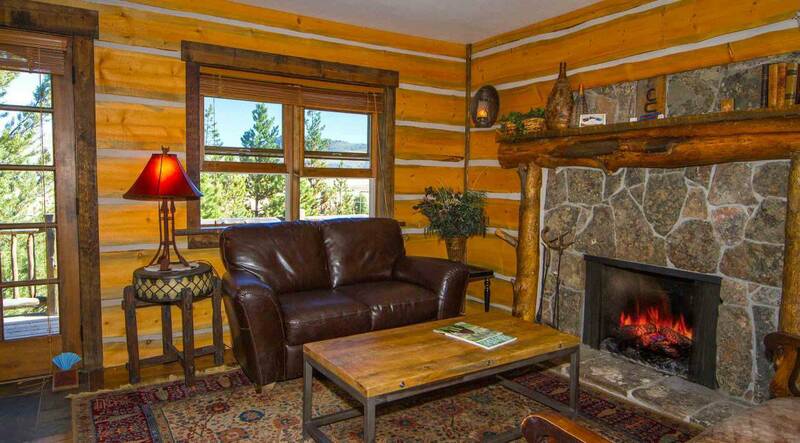 Enjoy amenities of a top resort in a ranch setting. Kids stay free weeks. Conference facilities for 80 people. Great winter/holiday vacations. 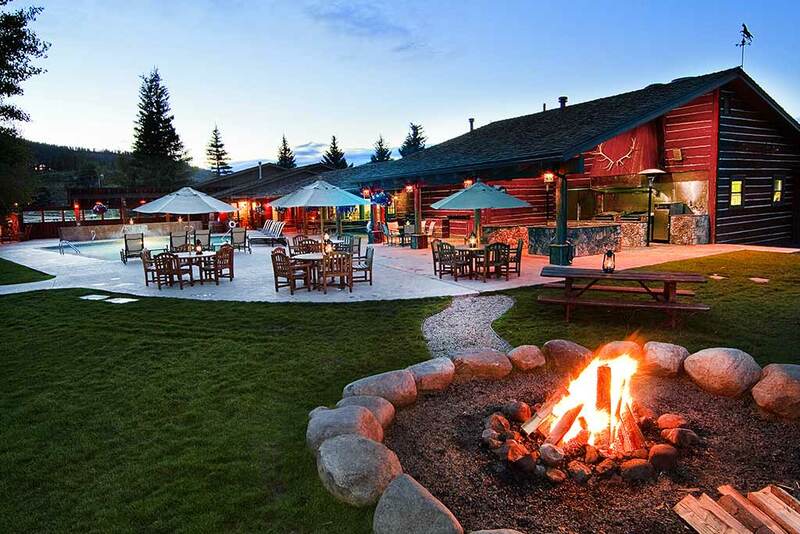 Ranch Dining: Expect to work up a hearty appetite in the fresh mountain air and with so much to do. Meals here at C Lazy U are an apt reward for an adventurous day. We sit down family-style for all meals to get acquainted and share stories. The dining room is rustically elegant and the meals are delectable. 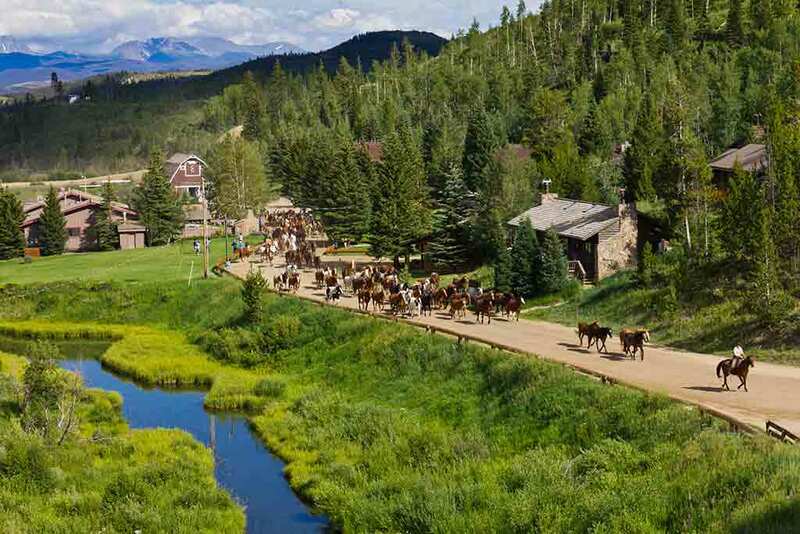 Ranch Lodging: At C Lazy U, guest accommodations vary in size, decor, and are scattered across the hillsides, within walking distance of the Main Lodge. Parents will appreciate the new Beverly Hills Edition beds while the kids will love the new iHome docking stations. Deluxe rooms have soothing jetted tubs and stocked mini-bars. Most rooms feature stone fireplaces with western style furnishings, with daily housekeeping service, nightly bed turndown, plush robes, coffee, tea, snacks and a fresh fruit basket. All reservations should be made in advance. An advance deposit of 30% of the total lodging amount is required. This amount is credited to your account or is refunded if we are notified of a cancellation 60 days in advance of your arrival date. If a reservation is cancelled under 60 days in advance of your arrival and we are unable to rent the space, the entire deposit is forfeited. We strongly advise you to consider purchasing trip cancellation insurance. You may obtain this insurance through your insurance carrier or travel agent.